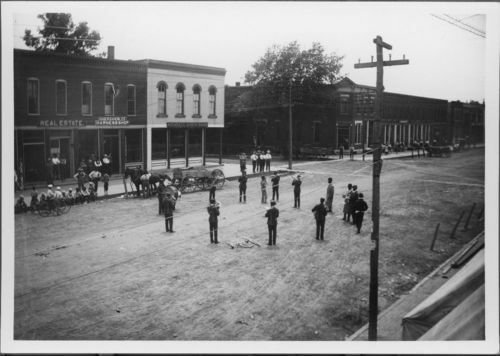 View of the members of a band performing in Valley Falls, Kansas. The band members are arrayed in a circle in the city street. Also visible are spectators, two boys on bicycles, horse-drawn wagons, sidewalks, hitching posts, utility poles and power lines, and the building and businesses along the city street.